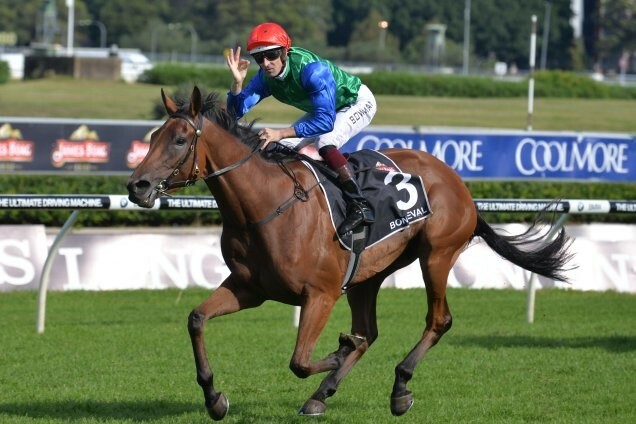 ATC Australian Oaks winner Bonneval (NZ) posted a stunning four and half lengths success in the 2017 renewal of the region’s premier fillies Classic. 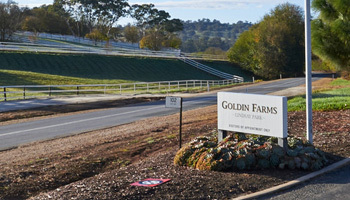 Supporters of Goldin Farms foundation stallion Akeed Mofeed (GB) have good reason to take great heart from last weekend’s result of the Group 1 ATC Australian Oaks (2400m) as it continues the very favourable impression the Dubawi sireline is making on the local racing scene. A sire-son of Dubawi was responsible for his second consecutive winner of the ATC Australian Oaks when Bonneval (NZ) posted a stunning four and half lengths success in the 2017 renewal of the region’s premier fillies Classic. A New Zealand-trained 3-year-old filly that had also saluted in the Group 1 NZ Oaks at her previous outing, Bonneval is a daughter of Makfi, the dual hemisphere serving sire-son of Dubawi that also supplied the winner of last year’s ATC Australian Oaks (G1) in the form of Sofia Rosa (NZ). With his NZ-bred progeny still only 4-year-olds, Makfi has not only been responsible for the past two ATC Australian Oaks winners but also successive winners of the coveted New Zealand Bloodstock Filly of the Year award. Determined on performance during the course of the NZ 3-year-old fillies Classic series, Sofia Rosa took the honour in 2015-16 and Bonneval the 2016-17 version immediately following her recent NZ Oaks victory. The achievements of Makfi with his NZ-bred progeny is even more remarkable when it is taking in to consideration that the French Classic winning son of Dubawi has only been represented by two 3-year-old crops to date. Unfortunately for Kiwi broodmare owners, Makfi was sold to the Japan Bloodhorse Breeders’ Association late in 2016 and is not expected to return to New Zealand for stud duties. Retired to the stallion barn in 2011, Makfi was the first son of Dubawi to be made available to Australasian broodmare owners. Darley stallion Poet’s Voice (GB) was next to follow in 2012, with Goldin Farms’ foundation stallion Akeed Mofeed commencing his stud duties in 2014. It is worth noting that not only did Makfi supply the winner of Saturday’s ATC Australian Oaks in Bonneval, but Poet’s Voice is sire of the runner-up Perfect Rhyme — giving the Dubawi sireline a Group 1 Oaks quinella in the very first season it could possibly happen. As a Group 1 Classic winning son of Dubawi also produced from a mare by a Danzig-line stallion, Akeed Mofeed has more in common with Makfi than any of the breed’s representatives at stud in Australasia. The Goldin Farms’ stallion is therefore a logical choice for all broodmare owners located either side of the Tasman looking for a like-for-like replacement to the sire of the past two Randwick Oaks winners.